When will Little Big Shots Season 2 premiere date. New release date on DateReliz.com: trailers, spoilers, cast. 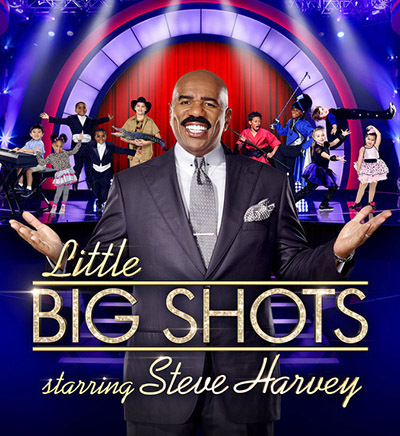 Little Big Shots is a children’s talent show produced and launched by NBC channel. The premiere of the series was on March, 8, 2016. The show filled the spot neatly as viewers of NBC had had mostly the adult-oriented series to the date. The audience really missed series like Little Big Shots and the season 1 became habit-forming for millions of viewers. What’s going on in the show? Kids from all over the country have a chance to demonstrate their performing skills during the show. The independent jury picks up candidates anonymously. One of the producers of the show is Mike Darnell, once a Twentieth Century Fox alternative programming chief who joined Warner Bros. recently and is responsible for masterminding Little Big Shots. In the recent interview, Mike Darnell said that he did not expect such popularity from the funny idea he decided to give a try. “Little Big Shots” gathered as many as 14.8 million viewers in the show’s premiere.